Barons Media provides marketers with the ability to painlessly advertise, check status, and confirm when ads go live from anywhere using behavioral targeting, retargeting, analytics reports, display solutions, and video solutions. 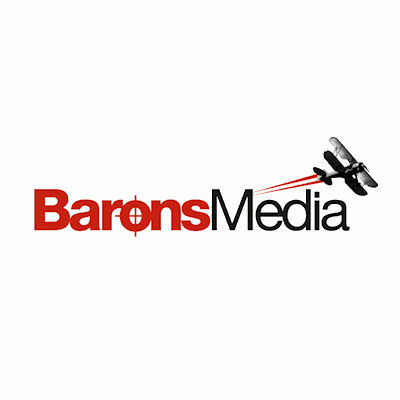 Barons Media specializes in display, pre-roll, and mobile advertising, utilizing a proprietary ad serving technology consisting of 250 direct, exclusive, and owned-and-operated websites. Barons identifies highly-targeted, qualified consumers for a brand's product or services, strengthening brand awareness and adding additional revenue stream to current marketing efforts.